(APR. 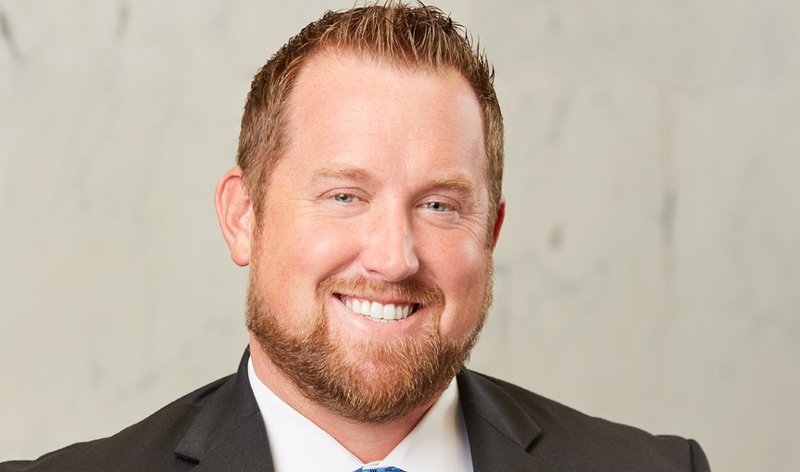 1, 2019) TULSA, Okla. - IBC Bank-Oklahoma promoted Herschel Hibbard to First Vice President of Treasury Management. Hibbard joined IBC Bank in 2010. As First Vice President, he oversees the Treasury Management department, generating and maintaining commercial client relationships, developing and implementing new policies, and overseeing daily operations. "Trae is a vital member of the IBC-OK team," said IBC Bank-Oklahoma President & CEO Bill Schonacher. "His leadership and dedication to the bank's "We Do More" philosophy is inspiring and he serves as a wonderful example to his colleagues. This promotion is well deserved and we look forward to his continued leadership within our market." Hibbard earned his Bachelor of Science in finance at Oklahoma State University in 2009. He is a passionate community advocate and currently serves as a board member with the Youth At Heart Foundation. In his spare time he enjoys hunting and spending time with his family and friends. IBC Bank-Oklahoma, celebrating its 15th anniversary of doing business, is a member of International Bancshares Corporation (NASDAQ: IBOC), an $11.9 billion multi-bank financial holding company headquartered in Laredo, Texas, with 189 facilities and 287 ATMs serving 89 communities in Oklahoma and Texas. IBC Bank's slogan "We Do More" reflects the bank's dedication to the growth and success of the customers and the communities it has been serving since 1966. International Bancshares Corporation was ranked 22nd on Forbes' prestigious list of 100 Best Banks in America in 2019. In 2018, IBC Bank-Oklahoma received the Crystal Apple Award from Junior Achievement Oklahoma. IBC Bank-Oklahoma has been serving the Sooner State since 2004 and has a retail branch network of 47 locations. MEMBER FDIC / INTERNATIONAL BANCSHARES CORPORATION. Follow our Facebook page, @IBCBankWeDoMore. More information is available at ibc.com.